Xavier Mah Consultancy brought the glitz and glamour to their distinguish guest and partners with its inaugural launch party at classy BRDB Sales Gallery. Describing public relations as "bridging the needs of purveyors with their intended target segment,", the straight talking Xavier is the proprieter of his namesake company, which has amassed a portfolio that includes CellSafe Stemcell Bank, Huggies Ultra, Italian Kitchen appliance manufacturer Bertazzoni; as well as wellness and aesthetic labels O'slee, Fugen and Charles Worthington London with their product launches in Malaysia. He was also enlisted by Bimba & Lola to execute the breezy "Tropical and Under the Sea" theme for the brand's Spring Summer 2011 collection. "The Media-Difference is our guiding principle", says Xavier. "As a new company, we have to be innovative in our approach when offering solutions to clients. We understand the importance of thinking out of the box and as such we provide full-services in the area of public relations and marketing that focus on customised strategy campaigns in accordance to the needs of each client." As welcomed guest, celebritires and the media arrived, they were greeted playfully by Magician Andrew Lee who may just have more than a few tricks up his sleeve with his walkabout magic act. 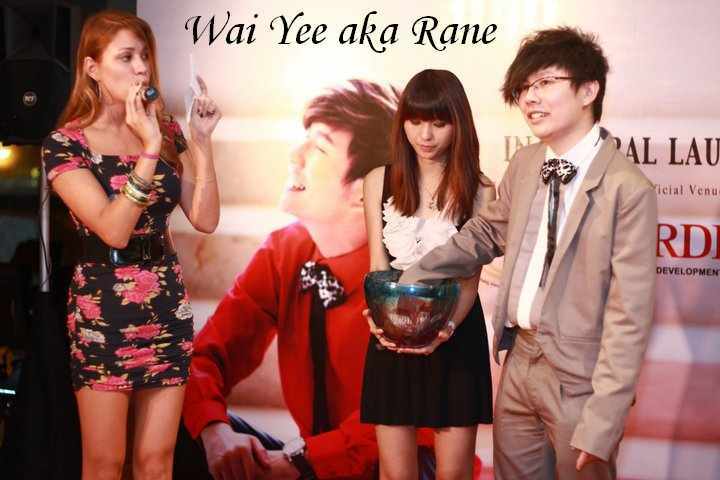 Emcee, Miss Malaysia World 2010, Nadia Heng kick-started the soiree proper with the introduction of Malaysian Idol alumi, Vic Teo, who belted his heart-felt rendition of Lady Gaga's "The Edge of Glory", which incidentally was also one of the Xacier's favourite tunes. Xavier thanked his guest for attending the event, many of whom have in various capacities supported him through the infancy of his public relations venture. "It has been an honour," he added overwhelmed with gratitude. "From strength to strenght, my little company would not have survived where it not because of everyone here who believed in me." A Batant Berjuntai, Kuala Selangor native, Xavier lost his father at an early age and witnesses firsthand the hardships of an underprivileged childhood. Determined that he would make a better life for himself and his mother, he would be a compliant student who understood the power of knowledge. Armed with a 3.3 CGPA and a placement on the Dean's List at USM, Xavier sent his sights on the local entertainment and fashion industry in which to make his mark. Xavier Mah Consultancy he believes is a step in the right direction. "The Sky's the limit as far as I'm concerned. Talent will only get you so far, hard work maximises your God given abilities. I thus live life by the simple motto: Work hard and be nice to people." The event proceeded with a message of encouragement from Harvest Tide Productions from the USA. Longreach is their latest production. Longreach is written by William Decoff in conjuction with The 989 Project. A new independent web series that was originally written as a feature film, the screenplay was runner up in Michale Corrente's Horror Film Competition. Harvest Tide Productions won the Award for Independent Filmmaker and amongst others. Xavier Mah will be collaborating with Harvest Tide in the upcoming months to promote Longreach in Malaysia. The event was also a platform for the announcement of Xavier as brand ambassador of hip coffee hours Chilla Cup by Chilla Cup partner Shaik Mohd Haniff, with whom Xavier Mah Consultancy has a very close symbiotic relationship. Aptly title Chilla Cup and Xavier Mah, the start of a beautiful friendship...., it pays homage to the classic 1942 Humphrey Bogart and Ingrid Bergman flick, Casablanca. 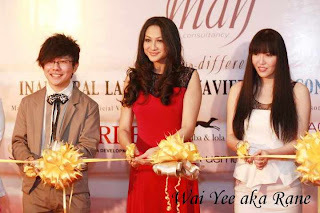 The launch of made official with the cutting of ribbon session with Xavier Mah, A Cut Above chief creative director Winnie Loo, Ford Supermodel Marina Suwendy, celebrity Dynas Mokhtar and Chilla Cup Partner Shaik Mohd. Haniff. Following which, the momentum of the evening was sustained with a lucky draw session that had guests cheering on each lucky pick. 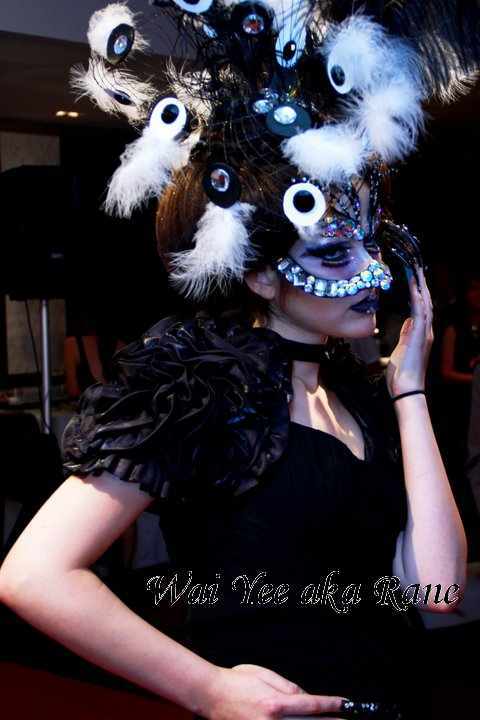 As a prelude, Backstage Academy presented a hair showcase entitled Apple of My Eyes, before making way for Neo Folk'd avant garde Pre-Spring/Summer 2012 collection by Danjyo-Haiyuji who made the trip all way from Indonesia in support of Xavier. Before guests retired for the night, Xavier once again thanked everyone for coming. Representative from sponsors Chilla cup, BRDB Art Gallery, Bimba & Lola, Backstage Academy, Pacifica Appliances Sdn, Bhd., Shu Uemura, Celebrity Fitness, Acca Kappa and O'slee each in turn gave their blessings to Xavier Mah Consultancy. The evening ended with Let's Chill session with food and beverage courtesy of Chilla Cup Cafe. appearance of a person's face by surgically altering the nose. derives from Greek roots meaning "to mold or shape the nose." A more common slang name for the surgery is "nose job.